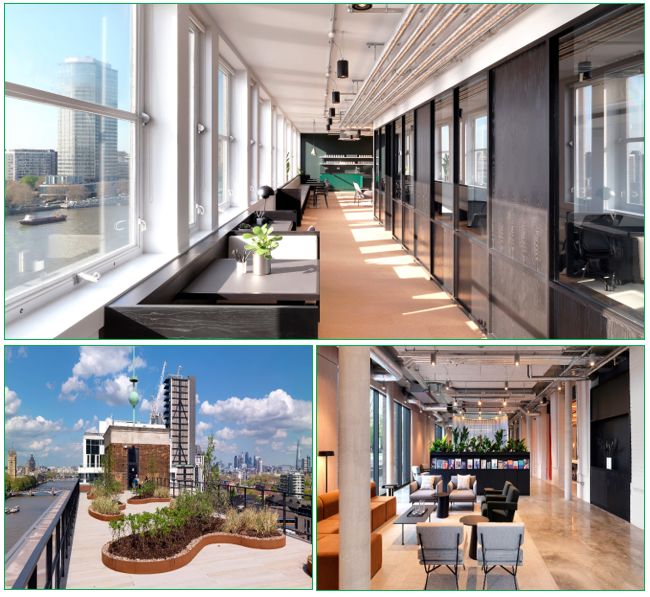 This building has been refurbished and a two-level extension has been constructed on the bottom to create 120,000 sqft of flexible offices, meeting rooms, event space, lounge space and co-working space. The private offices boast an incredible amount of natural light and come in a complete mix of sizes, so suitable for any business. This location has its own gym which opens out on to a garden overlooking the river. Added to this is an art gallery and café with a real focus on healthy eating. The top floor is where you'll find a whole host of meeting and conference rooms, a member's bar which also overlooks the river as well as a full roof garden. Where is it? 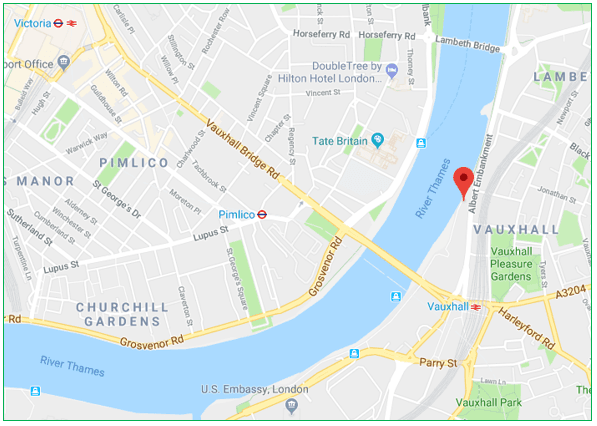 Just 75m from Vauxhall Station and only a short distance from the major commuter hub of Waterloo Station this office space is incredibly easy to get to. Prefer to cycle? Don't sweat it, there are plenty of bike racks and showers to use.